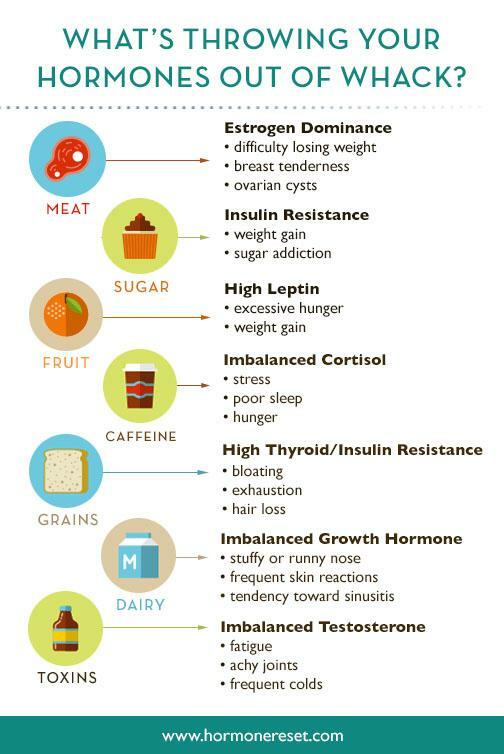 There is plenty of debate concerning willpower and the effect it has on disease. When sickness comes, it is hard to push away all the negative thoughts – in fact, the idea is completely unrealistic. Still, those who continue to remain as positive as they can through such an event (or any for that matter) seem to know how to cast those feelings to the side and enjoy all the good in their lives. These blissful thinkers tend to be in the healthiest of conditions as well. It may sound too good to be true or downright annoying to hear that such advice when doing through a serious ailment for some. Still, there is evidence that optimism, hope, and most of all, believing you can take control of your life again, helps improve health as well as speed up recovery. Everything about our body is not all figured out to this day. There are some situations, even if they are good, that cannot be answered. The same goes for why those who look at the brighter side of a dark event tend to recover faster, live longer, or even be healed from diseases such as AIDS, cardiovascular disease, and cancer. There is an increasing amount if evidence that suggests the there is a strong relationship with the mind and the immune system. Looking at it from the opposite spectrum, pessimism makes people stress out, elevating stress hormones in the blood which can wear out the organs and body over time. 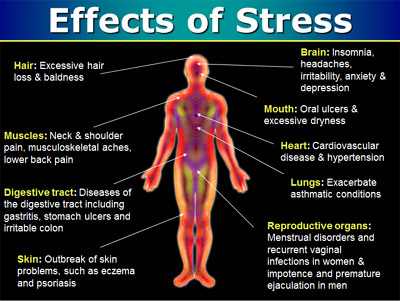 The level of stress one has plays a major role in allowing the body to cope with disease. Although we are inherently positive people, situations such as a disease can put many through a state of hopelessness and depression. While it may seem hard to break, an attitude change is one of the first things you need to do, even if it is temporary. Continue to Smile: Doing something as simple as smiling helps lower blood pressure, heart rate, and stress hormones. Do not feel guilty about humoring yourself more often whether if it is by going out or watching an amusing video. Stay Surrounded with Loved Ones: One of the worst things a person can do is isolate themselves from everyone. The people you cared about before will still love you regardless, wanting to help in any way they can. Help can be hard to accept for some because of not wanting to be weak, but this couldn’t be any more further from the truth. Adapting to a new situation can take time so people should allow themselves the reorientation they need. Clearing the Mind: Keeping yourself distracted and not thinking about the complications of a disease is beneficial for you. The combination of a clear mind and stress reduction are possible with meditation, tai-chi, prayer, and yoga. Ones perspective naturally shifts for the better when starting any or all of these alleviating activities. You may not always be able to change every circumstance in your life, but you can most certainly change your attitude which does have an influence on the course of an illness. Baltic Essentials Amber Rainbow Necklace can help you heal your mind body by decreasing stress and promoting a positive mind. The necklace contains amber that helps ease pain and inflammation naturally. It also contains pink rose quartz, amethyst, lapis lazuli, turquoise, red agate, aventurine and chrysocolla that help free you from anxiety and stress. It also detoxifies the body, and relaxes the mind while promoting an enhanced sense of well-being, self-worth and energy. Amber can help you free yourself from negativity and stress from the “dis-ease” so you can live life again and feel better when you conquer your disease. Why is My Toddler So Angry? A picture -- especially one in motion --is worth more than a thousand words. There are plenty of instances where words do not need to be said to understand someone's emotions; their actions and facials expressions are more than enough. Screaming, shouting, pouting, crying, and furried eyebrows are reactions that are no stranger to toddlers, we expect them. However, there are times when we simply do not understand where it is coming from or the point of it. They have arms and legs too and they will know how to use it! You may be struggling with your little one some days as they punch, kick or even bite you. In this situation it can be easy to forget just how different a child is from an adult mentally when their behavior is sour; however you should not freak out or grow mad at them even after you have done all you could to console them with no change. Infants, toddlers, and kids are often similar in the sense they are extremely sensitive anytime their needs are not provided. There are two types of anger that a toddler will go through in their own way. One of them, known as developmental anger, is expressed when they go through new adaptive phases as they grow. They will grow frustrated over minor things such as being in a new environment or when they are learning how to walk. Interpersonal anger is when they start to show signs they want to be independent and explore but are not given the okay. Ever tell your kid they can't have a cookie and they behave dramatically? They will be angry because you, the parent, are not reacting the way they want and crying or lashing out is their defense mechanism to get what they want. It is hard for a child to fully express themselves at times too in words when they want to say or feel something. They may also be upset due to guilt, empty promises, unfairness, intimidation, or teasing. How Can I Manage My Toddler's Anger? Stay By Their Side: If you have to retain them while you are with them so they do not cause injury to themselves or their surroundings, do so, and show you will not tolerate the behavior. Do not belittle them in the process. Identify the Trigger: Figuring out what is bothering them can be all it takes to solve a problem if they feel helpless. If they are unable to tell you, a little detective work by looking at their patterns of behavior is a must. What happened before they grew upset? Are they hungry, sleepy, feverish, bored, overstimulated, or exhausted? If they start getting grumpy after half an hour of shopping, it may not help to urge them to go longer than that constantly. Additionally, talking it out when they can state what is wrong can do wonders in getting them to calm down. Sometimes they may not want to talk with you; but they could be willing to talk to a pet, toy, or imaginary friend if you suggest it while you are together. React to Their Anger: In the end, you want to ease your child so they can get past the anger without holding it in. It could mean speaking to an unfair teacher, offer direct or indirect help or finding out of you may be contributing to their anger. Praise Positive Behavior: If they are good, you should let your child know you are aware when they are. They are more willing to behave or calm down of they know you will react positively when they do. Provide Them with Affection and Comfort: Maybe this is a given, but it can be overlooked. Let your little one know you care for their feelings or their situation. Your presence and comforting words alone can be all it takes to get them to relax. Hugs and kisses are powerful! Be Someone that Sets a Good Example: Kids are the most adorable miniature versions of ourselves; they will not only look like us, but they can behave like us too through mimicry. The way you react when you are upset or frustrated will be what they do too. Show model coping skills that they can follow too any time they are mad. There are a number of triggers that can make a child upset, but there are also a number of ways to get them to relax. Baltic Essentials Amethyst and Lemon Amber Necklaces can help calm an upset child. If they are lashing out because they do not feel good, amber has the ability to relieve symptoms of inflammation caused by fever. Amber is a fossilized resin made primarily of succinic acid that gets absorbed into the bloodstream when it is worn. Amethyst works by relieving strain, irritability, or stress, balances mood swings, and diffuses fear, anxiety and anger away. Our necklaces range from 11-13 inches, and are sized to fit both babies and toddlers. The Perfect Travel Companion - It's not who you think!! The vacation season has officially started and people everywhere are taking planes, trains and automobiles to their favorite destinations for a little rest and relaxation. While doing fun things at your destination is by far the best part of the vacation, the journey to get there is usually the worst part. Between highway construction zones, cancelled flights, lost luggage, traffic jams and constantly eating out, sometimes you need a vacation from your vacation. While you’re making your hotel reservations and packing your suitcase, be sure to include a Hazelwood and Rainbow necklace from BalticEssentials.com to ensure your vacation is more on the happy memories side and less on the stressful side. If your vacation includes restaurant hopping and indulging in delicious foods you don’t normally eat, you’ll be thankful you brought your Hazelwood along. Hazelwood comes from a woody shrub that is known for its ability to absorb excess acid from the body, making it more alkaline to prevent tummy aches and gastritis. If you find yourself stuck next to an annoying passenger or squirmy child, Amethyst can calm your emotions and help you take it all in stride. If you find yourself arguing with your loved ones because everyone wants to do something different, Pink Rose Quartz can help you dispel anger and open your heart to giving love. If the thought of flying or getting on a boat makes you feel anxious, Lapis Lazuli can help instill a sense a calm and serenity. Turquoise has long been used as a traveler’s amulet to protect against accidents and lost luggage, and can also help reduce jet lag. Chrysocolla can give you a natural energy boost to help you keep up with all the sightseeing, and Aventurine can give your confidence a boost to try new things. And if all that walking, swimming, hiking and playing leaves you with soreness and a headache, you’ll be well-prepared with Red Agate and Baltic Amber, for natural pain relief. So whether you’re taking a trip around the world or just to the next state over, don’t forget to bring your Hazelwood and Rainbow necklace along for the ride – it just might mean the difference between a wonderful vacation and one you’d rather forget. The one thing every new parent dreads about bringing home their new little bundle of joy (aside from changing diapers), is the first few months of going without sleep. It takes a newborn a while to figure out her own natural circadian rhythm, or periods of restfulness and wakefulness. Most humans are awake during the day and asleep at night, which is what most parents attempt to train their newborns to do; but when you’re used to being inside a nice comfy tummy and doing whatever you want whenever you want, establishing a regular rhythm is a daunting task. In addition to learning when to be awake and when to be asleep, a newborn’s body also has to adjust to regular mealtimes so that they sleep through the night after dinner. Those several weeks that it takes a newborn to get into the groove can be extremely harsh on a parent. Newborns typically wake 2-3 times during the night to feed and be changed, and have no respect for dad’s alarm clock. Then it’s a long day of more feeding, more diaper changing, naps, laundry, dishes, taking care of other children, cooking and keeping the house in order. It’s brutal! Plus a crying baby at night tends to wake up everyone in the household, so no one gets any rest at all; tempers flare and everyone seems to be grumpy and irritable. There are many, many methods to helping a newborn establish a good wakeful/restful routine. Everyone has a different opinion on what works best and what doesn’t; some people say to leave the baby alone and let her fall into her own natural rhythm and some people say to not let the baby sleep as much during the day. Should you force a baby into a schedule that mimics the rest of the family’s schedule, or let her pick it up on her own? Is it ok to make a newborn wake up from a nap and take a bottle at a certain time, or should you just feed her when she’s hungry? It’s very confusing and being sleep deprived doesn’t make those questions any more clear. There is something that mothers have used for centuries to help their babies get on a schedule – Amethyst. Known throughout the world, Amethyst was used by the ancients as a sleep stone, to help young children sleep peacefully through the night, and instill a sense of calm and peace. BalticEssentials.com has baby necklaces featuring Amethyst and Hazelwood that not only promote a proper circadian rhythm, but also aid digestion. One reason babies wake during the night is because of acid reflux, or having too much stomach acid. Hazelwood absorbs excess acid and brings the body to a more neutral pH level. So if your baby is still up and down like a roller coaster and you’re so tired you can’t remember what day it is, give Amethyst a chance and follow in the footsteps of ancient mothers who have relied on it for thousands of years to help their babies sleep. Hi-Ho! It's off to work we go! We all have those days – days when the to-do pile is taller than the desk and all we want to do is just stare out of the window and imagine we are somewhere else; days where we feel busy all day long, but at the end of the day, nothing’s actually been accomplished; days that seem like an endless line of distractions; days of procrastination followed by days of scrambling to get work done. Do you sometimes feel distracted and unable to stay on task at work? Do you have trouble concentrating and focusing on one task at a time? Do you sometimes put things off because you lack the motivation to do them right away? It’s difficult to stay focused on one thing for an entire workday. There are plenty of other things to keep you distracted and unproductive- talkative co-workers, text messages, thoughts about home life, errands that need to be done during the weekday, the list goes on and on. Some tasks we put off because they are tedious or hard. Some tasks we put off because they are boring and we’d rather be doing something more fun. Sometimes we put things off because we’re too busy worrying about things going on at home. How do you stay on track? Staying focused on being productive takes a lot of self-discipline. It’s easy to get caught up in the local office gossip, but it takes self-discipline to walk away and focus on your tasks. It’s easy to let yourself get distracted by every email and text message that pops up, but it takes self-discipline to put them aside until you are finished with your project. There are definitely advantages to staying focused on the task at hand – positive recognition from your boss and peers, and maybe even a pay raise or incentive. Keeping those goals in mind or where you can be reminded of them can help you stay on track. Even with self-discipline and a clear path to a goal, it can still be hard to stay productive. Luckily though, there is something else that can help – fluorite. Fluorite is a highly prized stone known as “The Genius Stone” because of its perfect cube-shaped crystal formations that resonate with the mind like no other stone can. Fluorite’s calm, stable energy provides support for order, concentration, and balance, and is most commonly used to increase one’s mental clarity and aptitude. It is a great stone to have around when you need to work through a complex project and focus on details and learning new information. BalticEssentials.com has the perfect thing to help you concentrate on being productive at work, with a necklace made of Baltic Amber, Rose Quartz, Amethyst, and of course, Fluorite. Fluorite can certainly aid your focus and open your mind, but Rose Quartz and Amethyst can help filter out distractions like worry, anxiety, and negativity, while Baltic Amber can put the brakes on nuisance aches and pains that keep you from getting things done. Everyone needs help staying motivated on the job, whether it’s hanging up a picture of the goal you’re working towards or refusing to be distracted. Fluorite can help you stay on track, get focused and be productive. Being away from home a while and heading to summer camp for the first time is a childhood rite of passage. Every kid dreams about being away from home awhile and being on their own. Why wouldn't they? They feel as if they are tasting ultimate freedom for the first time! They get to sleep in cabin bunk beds while talking all day to their friends and roast marshmallows. Seeing the mile-long packing list and planning what to take with them is only half the fun. They can't wait to explore as they excitingly drag their sleeping bags and fishing poles from the attic and are with you to buy an assortment of miniature travel-sized toiletries for their trip. Once their bags have been packed and repacked, and the list checked and rechecked, it’s time for them to head off on their own adventures. So how can you make sure that your camper isn’t anxious and miserable because they are away from home too long? While you can send letters and care packages from home of their favorite things, there is another thing you can give them before they board the bus to help them have a great and memorable time – a Hazelwood and Rainbow bracelet from BalticEssentials.com. How can wood and gemstones reduce homesickness? Hazelwood is shrub native to Canada that has been used by aboriginals for centuries to balance the body’s pH to make it more alkaline. Eating unfamiliar food and too many s’mores can give your adventurer a stomachache, and when he feels sick, he misses home even more. Hazelwood can absorb the excess acid from those foods and keep his tummy feeling fine. Pink Rose Quartz has the ability to calm stress and boost self-confidence, which your camper will need when faced with being amongst strangers. Amethyst can h elp reduce fear and anxiety, and Lapis Lazuli can instill a sense of calm and focus, which he’ll need when competing in those fun team games. Turquoise and Chrysocolla are stones of communication and creativity, which your camper will need to make awesome arts and crafts projects and tell ghost stories around the campfire. Aventurine and Red Agate can both help him overcome shyness so he can make loads of new friends. And finally Baltic Amber has the ability to reduce inflammation, swelling and headaches for times when your camper plays a little too hard. The Hazelwood and Rainbow bracelet’s rustic look will fit right in with the camp atmosphere and casual dress code. It can be worn on the wrist or even as a fashionable ankle bracelet, and only your camper will know that it’s really their secret weapon against homesickness. Amethyst has served many purposes for a variety of cultures over the centuries. For the ancient Hebrews and Egyptians, amethyst was thought to open spiritual connections with the Divine, and was used by Eastern cultures as temple offerings. Catholic bishops wore amethyst rings to protect themselves from evil thoughts, and to keep their minds on spiritual matters. It is the stone of Saint Valentine where it is believed to attract and retain the kind of love that endures throughout the ages. In the modern society, amethyst is known for its ability to calm anger, soothe a grieving heart, and enhance creativity. It can also help promote restful sleep and peaceful dreams. With the ability to bring peace to the mind and balance emotions, amethyst enhances our sense of intuition and creative thoughts. For that reason, it is notoriously dubbed as the Artists’ Stone, Composers’ Stone, Inventors’ Stone, Poets’ Stone and Painters’ Stone. Amethyst is a stone of the Third Eye chakra where our consciousness lies. When in balance, the Third Eye chakra allows a person to be open to new ideas and dreams. It is also a stone of the Crown chakra, which is focused on how a person thinks and responds to the world around them. The Crown chakra is related to spiritual connections and helps one to understand their place in the universe. The beautiful purple hue of amethyst is a perfect blend of the fiery and passionate red hues and the intuitive and creative violet hues of the color spectrum. The two colors meet in the middle to strike a balance, which lends itself to bringing rationality to passion and imagination to logic. It is for this reason that amethyst is particularly useful for diplomats, negotiators and peacekeepers. BalticEssentials.com now offers a beautiful amethyst ring so that you can harness its power for yourself. Whether you use it to help you balance your own emotions, bring harmony to those around you or provide creative inspiration or produce better rest, all of the powers of amethyst are available to you in a sparkling white gold setting will no doubt enhance the beauty of any wearer. It is the perfect way to help alleviate stress of the world no matter where you go. The ring is available in ring sizes 6, 7, 8, and 9 to fit almost any finger and the universality of amethyst makes it perfect for every day wear. For many people, Memorial Day is a day to be off work, relax and have fun with family and friends; but for those who have lost a loved one, Memorial Day is a day of remembrance. Memorial Day was first observed in 1868, shortly following the Civil War as a day to honor fallen soldiers by decorating their graves with flowers. After World War I, it became a day of remembrance for ones who have died in any war. To this day, it is still tradition to place flags on military graves and wear red poppies in honor of those who died defending their country’s freedom. While Memorial Day has great patriotic significance, for those who have lost a loved one in the service, it can be a particularly painful reminder of the loss they feel. There are many ways you can support someone who is grieving on Memorial Day, such as leaving flowers on the grave of their loved one or donating to a Veterans’ charity in memory of the fallen. You can visit national war memorials and look for names of loved ones and relatives, volunteer to place flags at military cemeteries or visit elderly veterans confined to a nursing home. On a personal level, you can simply offer hugs and a listening ear to someone who finds that day a heartbreaking reminder. The ancient Egyptians believed that amethyst held special powers to help heal a heart broken by grief and loss, and made a point of placing amethyst amulets in burial chambers. It was a sacred stone of the ancient Hebrews and worn by priests because they felt amethyst opened their connection to the heavens, and in Eastern philosophy. Amethyst is associated with the Crown, Third Eye and Etheric Chakras for its ability to quiet the mind and induce calm. And in Christian cultures, amethyst was associated with Saint Valentine to represent love, connection and communion. BalticEssentials.com has the perfect thing for someone who is grieving this Memorial Day, a beautifully simple Hazelwood and Amethyst Necklace to ease the pain of suffering, as well as to keep the body at a balanced pH level. People who are grieving often experience stomach ailments due to stress, overeating to cope with sadness, or undereating to cope with depression. Hazelwood can help alleviate stomach issues by absorbing excess acid and make the grief-stricken feel more comfortable. Amethyst can help bring about a sense of calm and loving memories to help heal a hurting heart. On this Memorial Day, while you are enjoying the day off from work or having a picnic with your family, make sure to remember our fallen heroes, as well as those that still mourn their passing, by offering up a little prayer of peace and healing and be grateful to the ones who made the ultimate sacrifice. Be sure to use coupon: MEMORIAL as a special thanks to all who have served or know someone who has. It’s Spring! Is Your Energy Keeping Up With You? Ah, Spring -- that wonderful time of year when we get to shake off the cold winter months and marvel at the beauty of blossoming flowers. With weather is warming up, it means it’s time to get started on spring cleaning. It is finally the moment when we do the yard work, playing sports, and take care of general home maintenance before summer comes and it heats up. Deep cleaning is a rigorous task that most of us can agree require a tremendous amount of energy. Can your energy levels keep up with the hectic schedule you want to make? Feeling Lethargic and Lack Energy? Lack of energy can be caused by any number of things, from what we eat, to our sleep quality, to stress or even the weather. In fact, there are so many things that influence our energy that it might be hard to point to just one factor. So what can you do to ensure that your body and mind stay in balance, no matter what life throws at you? Try looking to Mother Nature for the answer, as humans have done for thousands of years and use what Earth gives us. Mother Nature has a solution for practically anything that ails you, and fortunately BalticEssentials.com brings you all of those solutions together in one place! Make your springtime the best time of the year with a Baltic Essentials Rainbow Hazelwood Necklace and make sure your energy levels can keep up with your busy lifestyle! The necklace is made from several precious stone, each with their own benefits, and can natually increase your energy levels: Hazelwood, Green Jasper, Turquoise, Amethyst, Rose Quartz, Lapis Lazuli, Green Aventurine, Red Agate, and Crysocolla. Springtime is great for grilling hotdogs and hamburgers, washed down with sodas and beer. If your energy levels are drooping due to your diet, Hazelwood can make your body more alkaline by absorbing excess acid and restoring a more balanced pH level. Spring also means the days are getting longer and the nights are getting shorter. If you haven’t been getting adequate rest and it shows in low energy, Green Jasper can help you get a good night’s sleep. Seasonal spring allergies might also be to blame if your energy has been lacking. Turquoise for purifying the air and detoxifying the body of unwanted allergens. Sometimes a too-busy schedule can zap energy and leave us feeling drained. If you need help keeping up with sports schedules, homework and work demands, Amethyst will help. The arrival of Spring is the perfect time for new romances and flourishing relationships. 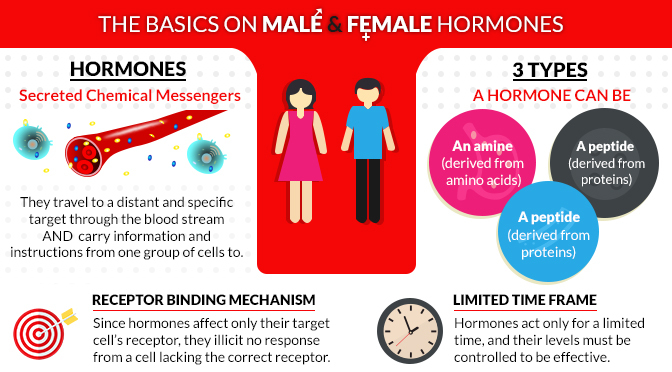 Relationships of any type has its highs and lows and, at times, bring about a lot of worry and stress, which can in turn yield low energy levels. Rose Quartz is the perfect stone for opening the heart to give and receive love. Warming spring temperatures mean that swimsuit season is just around the corner. If self-consciousness about your body produces anxiety and stress, Lapis Lazuli can help you dispel negative thoughts and embrace your inner beauty. Spring sports like baseball and softball are a lot of fun, but they’re much more fun when you win. If your team is on a losing streak and you’re lacking the energy and motivation to keep giving it your best, Green Aventurine can give you that extra dose of good luck. Sometimes our emotions get the better of us, no matter the season. Anger takes a lot of energy, which can leave you in an energy lull. Red Agate is particularly useful for keeping emotions in balance. And finally, sometimes we feel a lack of energy because daily frustrations and miscommunications just wear us down. To open the lines of communication and make things run more smoothly, Crysocolla will give you good vibes. While the Baltic Essentials Hazelwood Necklace is great for the Spring to naturally increase energy levels, it is perfect for any of the four seasons all year round.